what size, how many, etc. of the wrong sized parts, we eventually found our way. 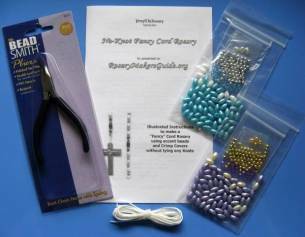 we created our Rosary Maker Starter Kits, especially for the Beginner Rosary Maker. 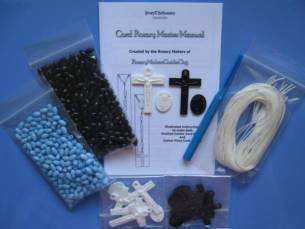 Our Kits contain all the parts needed to make one rosary. 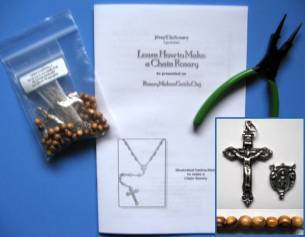 If you would like to try making rosaries, our Kits will be ideal. 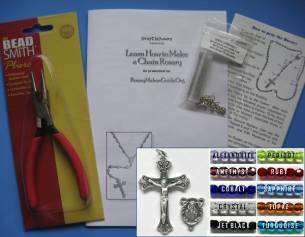 our Kits contain all the parts needed to make rosaries. 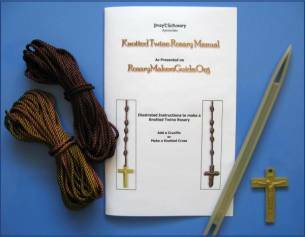 to make 2 Cord Rosaries each, 10 rosaries. illustrated instructions in booklet form. Try one of our low-cost Kits today. 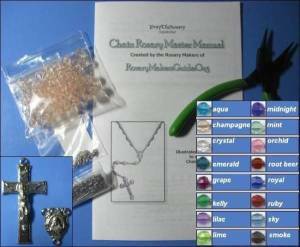 Makes 10 Rosaries in 2 colors. 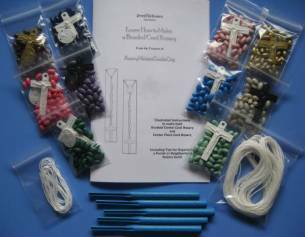 Learn how to make rosaries for our Troops. 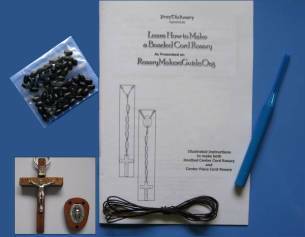 Make 2 All-Knotted Twine Rosaries. add Rondelles to accent Pater Beads, and gold or silver accent beads between Aves. 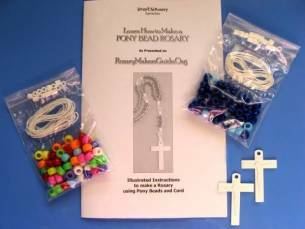 Make 2 Cord Rosaries with colorful Pony Beads and Perler Beads; tie only one knot. Fast and easy! Great for kids and adults! Lovely Olivewood Beads make this a very special Rosary. Includes all findings and tools.